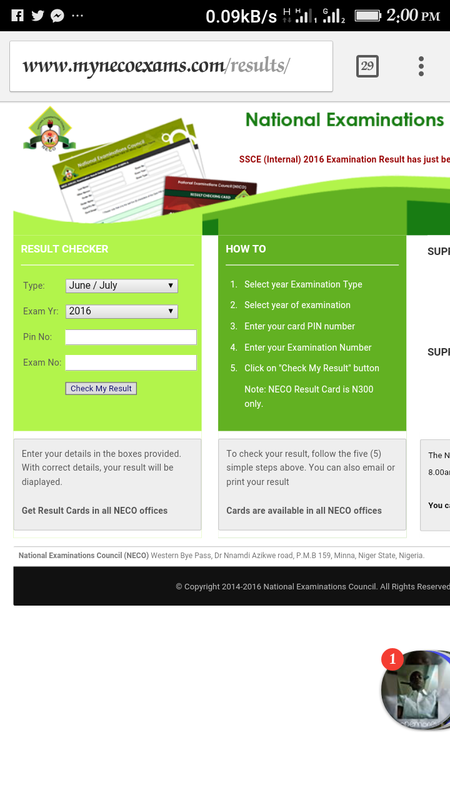 NECO RESULT : CHECK YOUR NECO RESULT The National Examinations Council (NECO) has released the June/July 2016 Senior Secondary Schools results. Registrar of the Council, Prof.
credits and above in Mathematics. the least with 72.59 percent. the date the last paper was written.